Badger- Mr JJ won't be here. He's going to a friends house to watch the game. I did talk to him about what you said, which is really what he wants to do. Good morning. 35 and rain with a mix of sleet/snow. I will live stream church this morning. Wimpy, wimpy me is. Had a nice visit with Christine yesterday afternoon and then she headed out to meet Chad for church. Not much on the schedule today other than the Vikings game and make a decision on which of the two dresses I plan to wear to niece's upcoming wedding. JJ, good luck with the chimney decision. Enjoy your time with Mom and Sunday football. Badger, ugh on this weather. Hopefully you were able to get your own fall chores done. The pic of C&C and owners of ITours was on FB. I was going to post it here for you but can't seem to find it now. Perhaps Chris can post it. C&C, nice snorkel pics. Cool looking ray. Bernie, funny story about the FL girls on your nice long beach walk. Jamie, nice weather you are having. I'm craving a cheeseburger now. Twirls, thanks for your trip pics so far. So happy to are having a good time surrounded by lots of friends. The lime sopa at LBV is one of my favorites. Bob, sad to hear about little doggie's declining health. Glad you can be there for comfort. Hugs to you and your GF. SoSo, cute costumes. Loved the sunrise pics. I think I got almost 8 hours of sleep, which I needed desperately. LOL. I told people that my costume was a WALKING ZOMBIE! I probably would have slept longer but I woke up because I heard a cat crying MEOW MEOW. Triggered my MOM instinct and I jumped up before realizing that it wasn't my kitties. Anyway I went to check and it was raining and the poor kitty was hunkered under my patio table. I had food but the minute I opened the door, WOOSH, it was gone. KRAZYKATS, you'll have kitty company perhaps. JJ, I have 3 fireplaces. 1 gas but vented and my favorite it electric that heats well, looks real and simply hangs on the 2 x 4's in the wall. The wood burner I don't use but could. I've had vent free gas with never a problem but I left a widow cracked. They are allowed per code here and I'm sure in your area. Yes the new ones are much improved. A vented gas one can be easily done thru the back of your chimney if you decide to get rid of the chimney. I'm assuming yours is on an exterior wall. BTW, I'M EATING AS MUCH AS I CAN. And I have gained a few pounds. At one point, I was down to 89. Now about 95. It was a beautiful morning. Spent long time outside just enjoying fall colors in the woods. Clouds have rolled in now... more rain on the way. Very much better today. Very little pain when walking. Just finished changing out the bedding for warmer flannel sheets and comforter. SJ, my brother and SIL spent most of the afternoon yesterday splitting wood again. So thankful for their generosity. We are getting quite a stock pile. dressed like Mary Poppins. Going to Halloween party with BF...who will be dressed like Bert the chimney sweep. Hope they post some pictures. I'm babysitting the grandbirdies. Lil doggie is not happy about those little tweeters being here. Twirls, Party look it was loads of fun. My little dog also likes to bark at and chase after the squirrels. She gets herself all wound up. My husband loves to just say the word "squirrel" so she will bounce around barking, all feisty and huffy. MB, Glad you had a nice time with your niece. Yard looks great! Wish my place was so well landscaped. C&C, Loving your snorkeling pics. Glad the winds ceasing and the waters cleared. Jamie, hope all is going well for you. jj, We once had a stainless steel pipe put down an old iffy chimney and installed a small wood stove in the fire place. Sure was nice to have when the power goes out. Fun time last night, was great to see lots of friends. Twirls was very cleaver with her Harry Potter wand Yes BeBe appeared to be less at LBV this year, probably due to being on the weekend after the actual. Streaming the KC CHIEFS game while laying in a lounger on a beautiful Mexico beach. PJ, widdle doggie seemed a little more lively today. So I took her outside and held her while she barked at the squirrels and brought her back in. She seemed to have some energy, so I put her on a leash and let her chase the squirrel today! Today was a good day for her! I fear there may not be many more of them. But we'll see. No hunting day today, so I klimbed Buck's ledge today and met others who said it feels good to finally getting out. Last Sunday was raining so it's been 2 weeks for us as neither of us feel safe out there with big buck fever. (No hunting allowed on Sundays). As we looked over across the pond at Mt Abrams ski resort, the snow that had clearly marked the ski trails was all rained off. At Sunday River, where I ski, they had the upper half of one trail available. Thursday, they are supposed to open up full time. This is Mother Nature allowing it. They really can't do anything about the weather, but it appears it will get cold enough that they can blow snow. It'll be one of the earliest openings in many years. I hear conflicting reports of a good winter or bad winter. I guess it depends on your perspective. I am hoping for a good winter with fresh 4" snowfalls 3 times a week! LOL!!! Man was I tired this afternoon. Laid down on the bed and zonked out! Felt soooo good, one of those impossible to stop naps! Yesterday, I took my old rototiller apart, as it was leaking oil. I used it several weeks ago, and a week ago, I saw some leaking under it in my shop (which is slowly turning into a shed). I replaced some seals last year, but didn't replace this one, as it wasn't leaking and was on the other end of the case. But I did have that seal on hand, just in case. A satisfying feeling repairing a worn out part. Also, I don't really want oil in my garden. Met my neighbor out back again today. They are looking to build a home out there, out of sight of everyone and everything. Being the nosy neighbor, I went out and chatted with them. Nice people! I think the home will be for his daughter. With the leaves dropping, they can see just how much land they own. I've been out there in previous years, re marking the painted trees showing the boundaries. He wasn't able to find the line the other day and I showed him. I also asked if I could lop off some saplings for cross country skiing and snowshoeing across his property. He said go for it! Nothing I like more than heading out my back door! My other neighbor.... I have gardens all along my driveway. I have tire marks into the gardens from my driveway. My driveway, not his driveway. My driveway is about 20 feet from his, and his driveway is 27 feet wide. I have large rocks along the edge of my driveway to keep cars out of the garden near the road. Looks like I need a few more and larger rocks.... I'll do this when they both are at work in the upcoming days. I generally look for something in the 2-300 lb range. A hand truck works pretty good moving them. A car's tire will also move them, but only a little bit. Oh, I know what he is smoking, it's legal here, and they do. Bernie, always loving the beach pictures! Holly, nice pictures (Thanx for posting PJ). Always good to see Donnie and Cheryl. They dress up so good! My magic wand is a rubber lined collapsing stainless steel STRAW. Environmentally great and cheap on Amazon or other sites. Comes in a small box with cleaning wand. Perfect for the beach or elsewhere. Good Morning Zombies, it's Moanday. Glad you are feeling better PJ and thanks again for reposting the pix. Wish I was on a nice, warm Mexican beach! JJ, yes, after you take the chimney down below the roof line you usually have to screw or nail in a few short pieces of 2"x4" to make a base for the plywood that is nailed over the opening. I'll gladly talk Mr. JJ thru it. Mb, I got a few chores done yesterday, still much to do before winter. Rain with occasional snow most of the day yesterday, looks like a decent day today, then more rain tomorrow and cooling off to lows in the teens by the end of the week. High 70's today and tomorrow and then BOOM highs in the low 50's for the next week or more. Yuck. That is January weather. Glad you are feeling a lot better PJ. Dad continues to be a mess. And stubborn as can be. Have a great day all. Especially those of you enjoying the beach in Mexico. Love the beach pictures you posted Bernie. Cloudy out as the sun comes up. Should be partly sunny today. The current temp is 68 degrees at 6:45. Beach folks should be happy with today's forecast of a 75 degree high. Very nice. 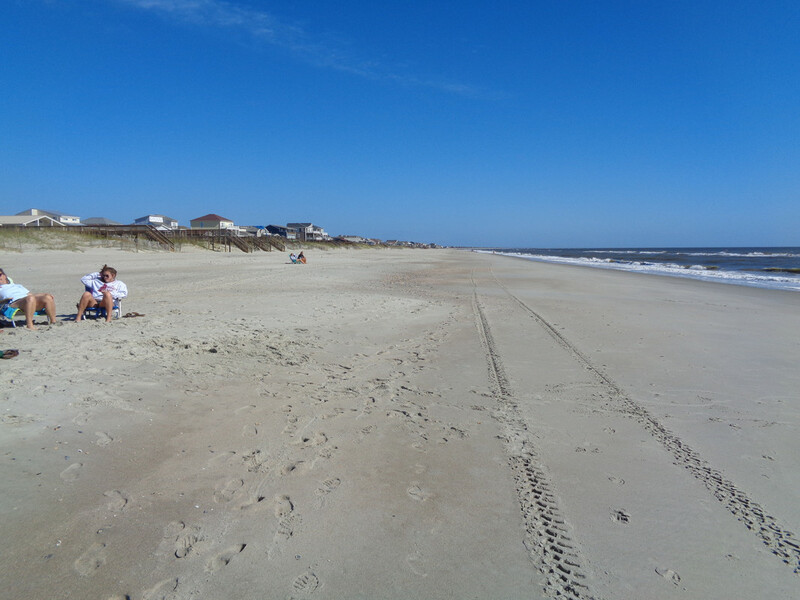 Speaking of the beach, I made it to OIB at low tide and had a nice easy wet sand walk. Wasn't feeling like a long stroll so just did 40 minutes. I stopped to chat with some fishermen ( and women ) that were surf fishing. No one was having luck at that point in time, so I told one guy I would see what I could do to help. Just for fun, I stretched out my arm pointing to the ocean, chanting 'nah,nah,nah...nah,nah,nah'. All of a sudden, he got a bite. The guy was so excited he failed to grab the rod out of the holder in time to set the hook. We were both laughing out loud. "Do it again" he requested as I was turning to walk away. I said "it was just a fluke". Still laughing he stated "I wanna catch a fluke". Off I went still chuckling about my non-existing magic. Today I have that make-up dermatologist appointment at 10 o'clock. This time it's with the PA, so it hopefully will be on time. Debby is going to be here by 9 to pick up all of her collectible Royal Copenhagen Christmas plates. She found a couple of antique dealers in Myrtle Beach that will take a few at a time, as limited space in their shops. That will be the very last of her stuff stored in my house. Holly, nice pictures. I know I met Donnie and Cheryl at least once; they were the ones that used to have those two beagles, si ? PJ, cute story about your little doggie's actions when the words 'squirrel' and 'coyote' are spoken. Too funny. Thank you for reposting Twirl's pictures. SoSo, nice picture of Holly. Thanks for posting. Bob, won't be too long before you will be zipping down the slopes. By the way, where do you get those 200-300 pound boulders ? Your neighbor's drive way ? hee,hee. I assume they are granite and found just about everywhere up there. Please don't get a hernia lifting those things. MB, your Vikings won yesterday. Good job ! Badger, darn on the Green Bay game. I would loved to see them beat New England. Oh well. Glad you have good weather today. jj, Paul makes that chimney job sound easy. Is Mr. jj afraid of heights ? I DO NOT like being up on the roof at all. Congrats on your Chiefs. Crunch, thank you. I sometimes wonder if the gang gets tired of the same shots. Maybe I can mix then up a bit but today more of the same. Has your Dad always been a bit stubborn ? Coffee all done. Need to get dressed for the day. Badger, I have an arranged "sighting" of the elusive for later today. Still groggy. I just am not sleeping well or long enough. Today I am moving to a spot down the road for 1 more night in Akumal. Sergio, that has the art gallery by TB, is doing a painting for me and it won't be ready until tomorrow., so I'm here 1 day longer than planned. I also have a painting to pick up in PM, which I ordered and paid for online. I love buying original art but I'm running out of room at home. I'll have to quit or my house will be on HOARDERS TV. PJ, I hope you are well by now. Gloomy day here. Severe storms coming this afternoon. My knees are still aching a bit. But so much more tolerable than before. for a day or two. Don't want to get caught out in bad weather. SC blew in from Nashville last night. Picked up the birds and went back to Memphis. She has her living situation in Nashville all settled. Good to go. I have no bad mom vibes about any of it. Think it is all going to work out fine for her. Don't mind a bit transferring pics from FB to the BC. Have a quick system worked out. Bernie - love those pics and never bored by them. Yes, he has always been stubborn, and yes he has always done exactly what he wanted to do. Bob - I am so sorry to hear about Laurie's sweet little beloved dog ailing. Please give Laurie a hug from me.